Jun was a player on the Chinese National Team for 8 years and captained the Jaing Xi Provincial Team to 3 National Championships. As a 12 year old, Jun was selected to train in the residence program at the Jiang Xi Sports Training Center where she developed into a fast and skillful midfield player. As a 16 year old, she was selected to play for the Chinese Under 21 National Team before making her debut for the senior team at age 18. Jun graduated from the Shanghai Sports University and returned to the Jaing Xi Training Center as a sports administrator and coach. When injury curtailed her playing career, she took up umpiring and again quickly rose to the top, achieving International Grade 1 level where she has officiated in three Asian Games, The European Cup, The Pan Am Games, The Junior World Cup, three Olympic Qualifying Tournaments and the World Cup. In 2004, Jun received the Golden Whistle from the International Hockey Federation to mark her 100th International match. Before coming to the United States in 1999, Jun was the coach of the Chinese Under 21 National Team. 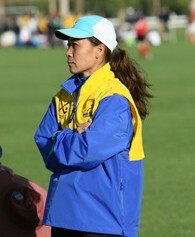 Jun now coaches in the USFHA Futures Program in addition to her duties as Director of World Class Coaching Field Hockey Program and Head Coach of the WC Eagles. Guy played a number of years on the Scotland Under 21 team and was part of the Scotland Men’s Squad before injury ended his playing career. He quickly transitioned into coaching, serving as head coach for his Alma Mater Heriott Watt University from 1998-2001. A brief stint coaching Dundee University was followed by a return to the club team of his youth where he assumed the role of head coach of the Women’s Team and the entire Youth Section. Guy moved to the US in 2007, joining Syracuse University as an assistant coach and helped them rise from 35th in the country to a #1 ranking, a Big East Championship and a Final 4 appearance in a little over a year. Two more Big East Championships, two Elite 8 appearances and two top 8 rankings followed before Guy moved to The University of North Carolina. In three seasons at UNC, Guy helped win two ACC Championships, reach three Final 4s (including two championship game appearances) and rank in the top 3 in the country every year. As Director of Player Development at Syracuse and UNC, Guy coached twenty players who were named All Americans (including ten 1st team). Guy has also coached extensively in the USA Field Hockey system, assisting with Pennsylvania, New Jersey and South High Performance Squads, heading up Mid Atlantic High Performance in 2013 and working as a Head Coach in both Junior High Performance and Futures Elite Championships. 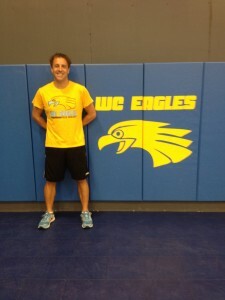 Guy has coached several USAFH Junior National Camps, assisting with Under 17, Under 19 and Under 21 US Squads. In September 2013, Guy was named assistant coach for the US Women’s National Team who competed at the Pan-American Cup in Mendoza, Argentina, qualifying for the 2014 World Cup.